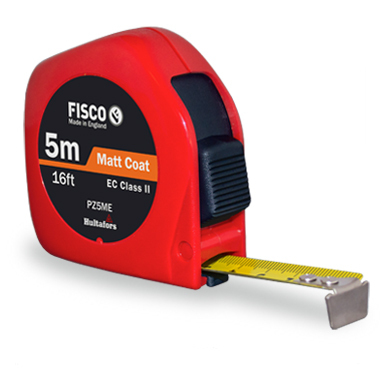 An excellent value tape measure with a tough, red ABS case, non-slip blade lock and an effective bump stop which gives added blade and end-hook protection. Blade accurate to EC Class II. Tough, red ABS case with positive action brake. Bump stop for added blade and end-hook protection (exc. 3m). Belt clip and self-zeroing end-hook.